Corbet R. Sigman crafted this matching pair. 440C Blade, BL = 2 3/4" & 3 1/2", OAL = 6 5/8" & 8 1/2", Tapered tangs, Nickel Silver Bolsters Engraved by Ron Nott, Tiger maple scales accented with 6x pins and a lined Lanyard hole. Fit and Finish are of the Highest Grade. 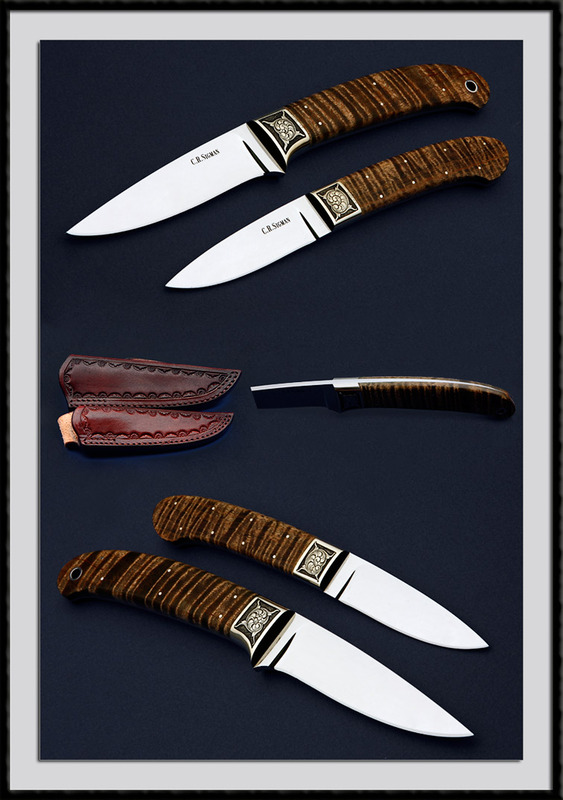 Comes with the custom leather sheaths pictured. Condition is Mint.